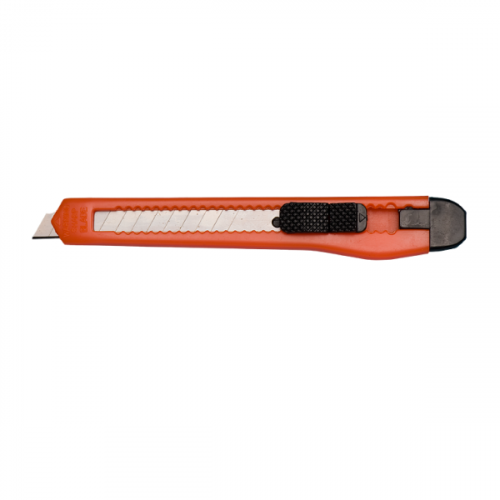 Uses Tach-It B-8, 8 point replacement blade. 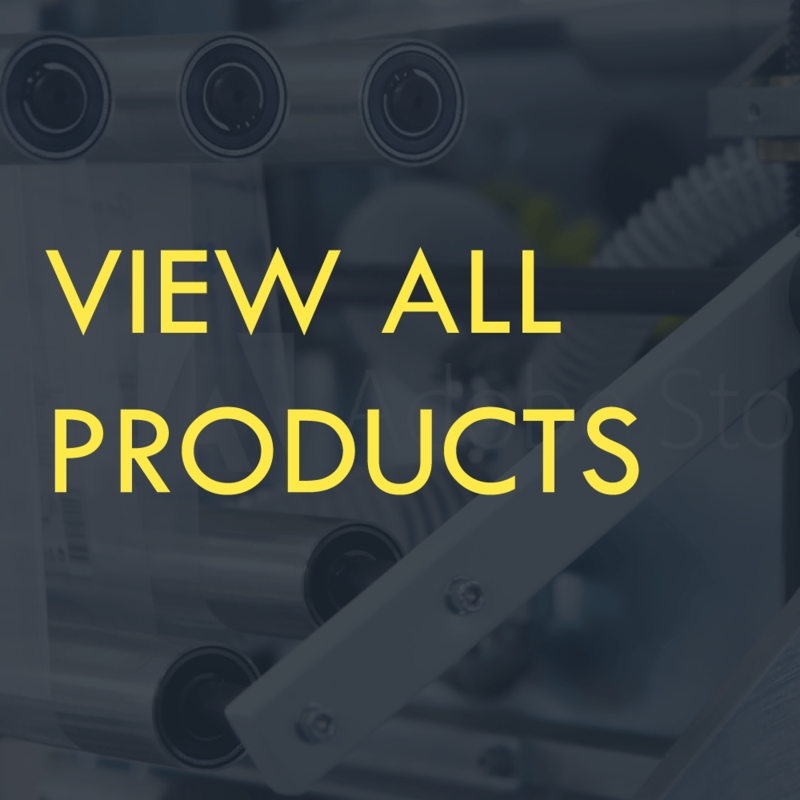 Perfect for most industrial, maintenance, warehouse, retail, grocery, shipping room, office and other applications. 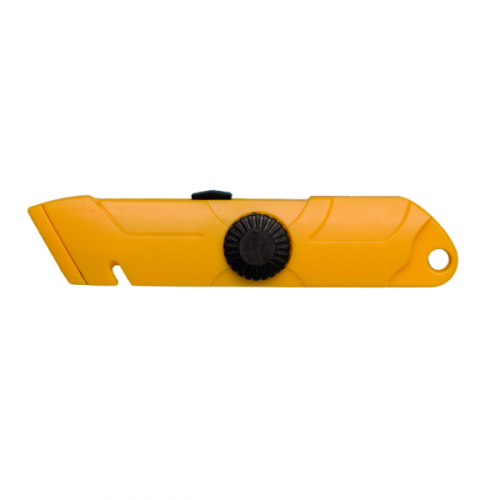 Industrial Heavy Duty Retractable Snap Off Blade Box Cutter. 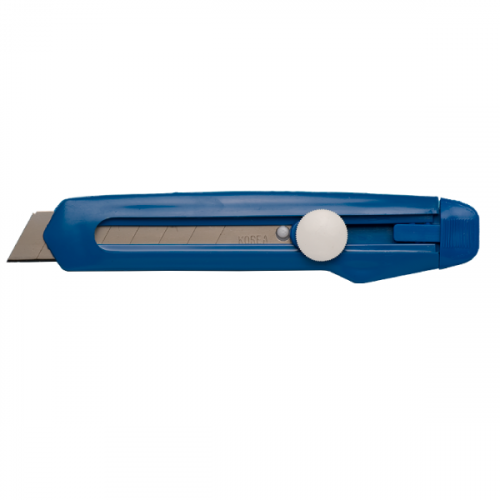 Durable and manufactured for long life, our Model - R Tach-It Box Cutter is ideal for most industrial, maintenance, and shipping room applications. No tools are required for blade changes and utilizing an 8 point snap off blade, a new cutting edge is only a snap away. 2 extra blades included. Uses Tach-It Style B-8 Blade.